Now we use the Service Domain in Magento. Click on “System” at the top navigation bar and select the “Configuration”. In the side menu under the “General” section click on the “Web” tab and then select the “Unsecure section”. Now we use Service Domain. Then navigate to “Web > Unsecure > Base Skin URL”. 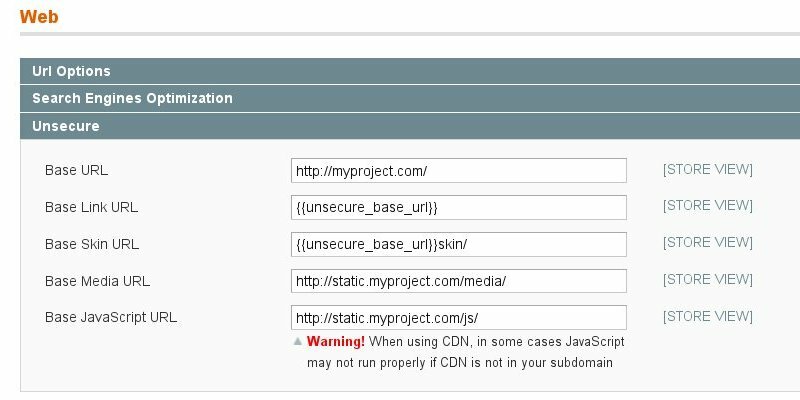 Untick “Use Default for the Base Skin URL” and set “Base Skin URL” to http://cdn.myproject.com/skin/ as in the picture below.